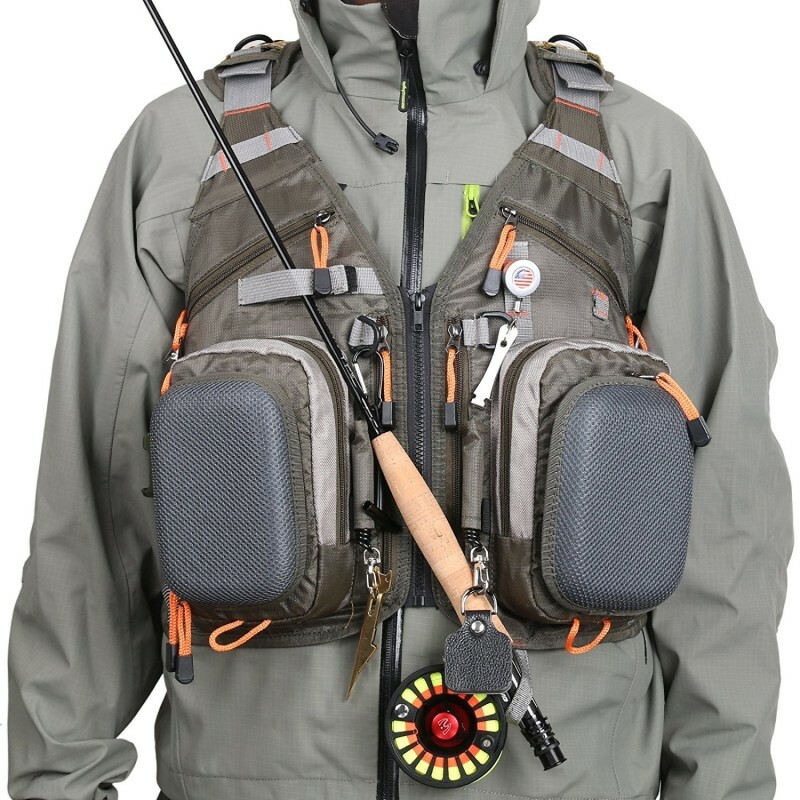 Designed for a long day on the water,this backpack combines a traditional fishing vest with a technical backpack to fit all your needs. 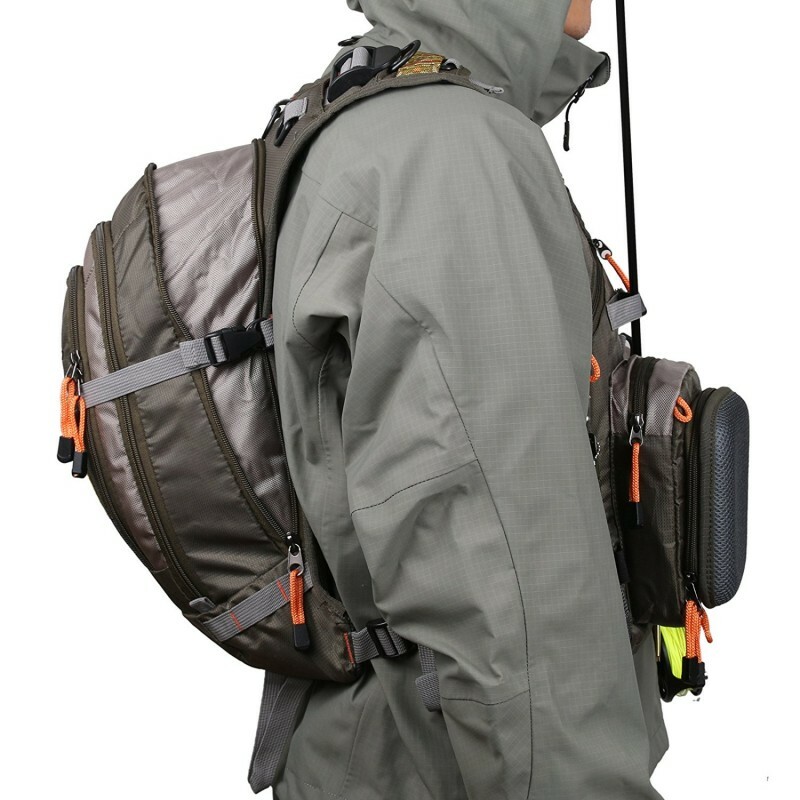 With this backpack, you can keep all your gears on you!The simplest way to keep your gears ready-to-go for any fishing trip.This convenient,comfortable backpack is the simplest way to carry all your fishing stuff with you! It is an excellent product, just what I needed. 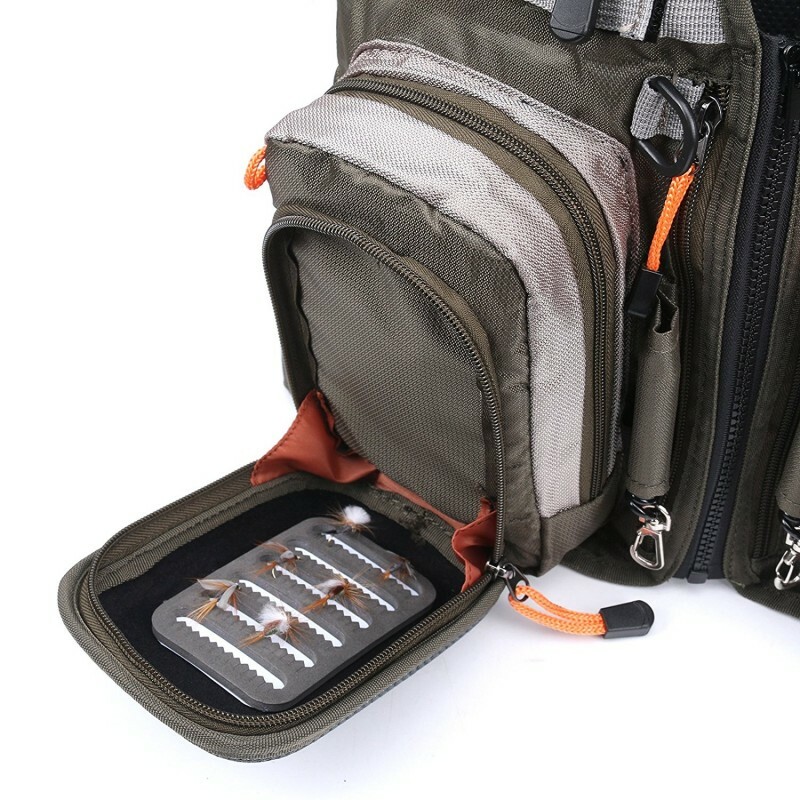 I love fishing and this product has much space to put everything I need. I used to use a backpack, but it was not adequate or comfortable to use. My husband wanted a many pocketed jacket for when he went out for fishing with all his camera and fishing equipment. After reading all the reviews I decided to order this. Its brilliant! 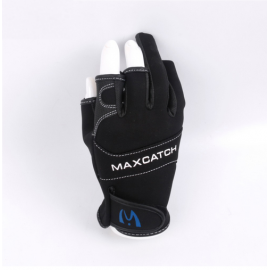 Its made of very strong material, well stitched and finished and the zips are very strong. 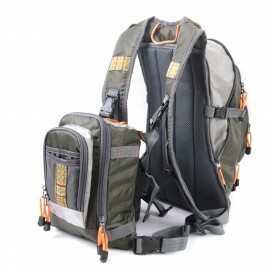 It has two many pockets on the that fit his equipments to carry. 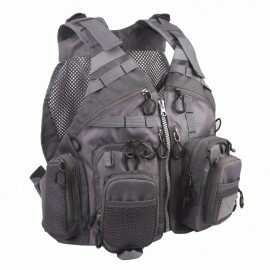 At the front is a vest with a zip closure and numerous slip and zippered pouches. The zippers are outfitted with cord pulls, so opening and closing them is a cinch. 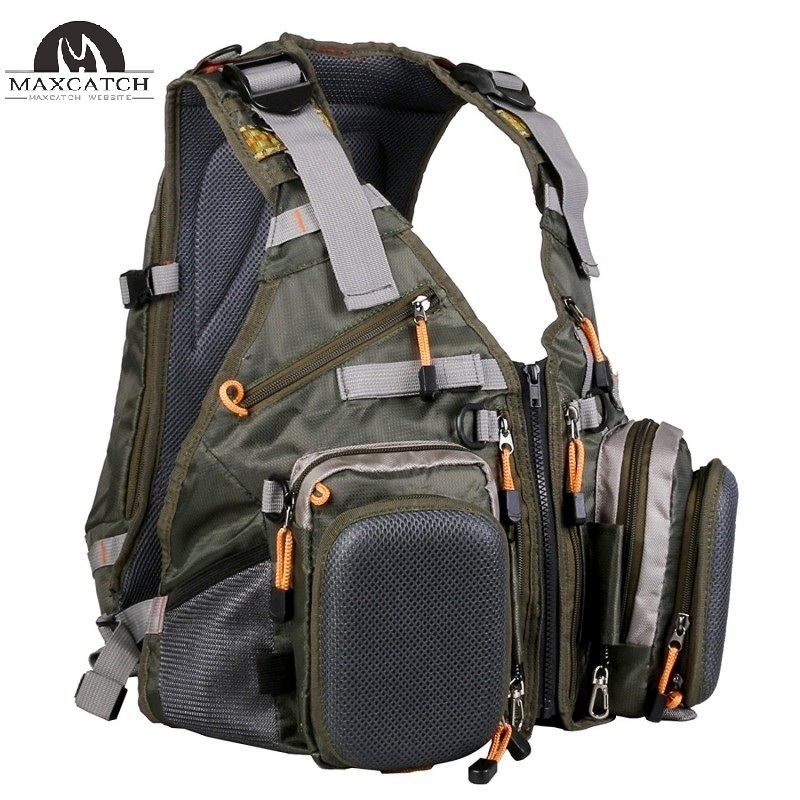 On the back of the Fly Fishing Tackle Backpack and Vest Combo(V-pop) is a heavy-duty fishing tackle backpack with three zippered compartments, slip pockets and D-rings for a multitude of storage options. 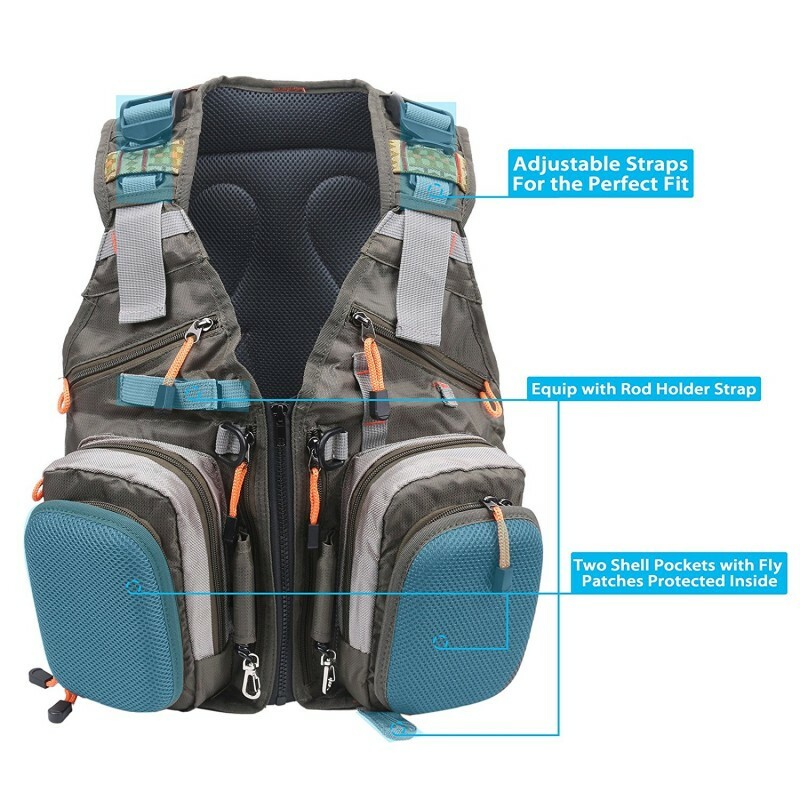 Like the vest front, the fishing tackle backpack is backed with mesh to help air reach your skin for comfort on hot days. 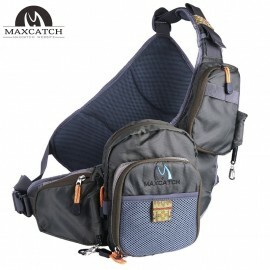 The fishing tackle bag and vest adjusts at the shoulders and at the waist via easy-to-use buckles. 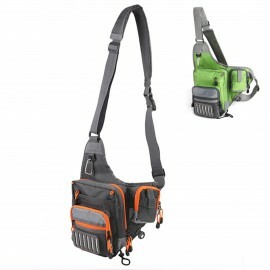 This makes it the ideal way for men and women of all shapes and sizes to take along their fishing gear. The vest has a minimalist fit to allow for easy movement, and it's lined with mesh to keep you cool. 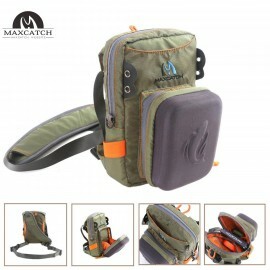 When you are going to spend an entire day on river,mountain or lakes,to enjoy the nature's beauty.you have to make sure you carry enough fishing tools or hiking gears and supplies .it would be mess and heavy burden,but with the help of thisbackpack.you can wear all of you fishing tools and gears organized and protected.Also It is made by highly durable material and has a good fit.Many customers are impressed by this product.What are you waiting for ,take it ,It's yours! Carried all my gear and a sandwich for a daylong fishing hike on the Deschutes. Every necessity convenient and secure. Hydration bladder pocket was a little tough to load but held my full water bladder and drinking tube routed through the shoulder strap for hands free access to drink. Excellent design and construction. I must say the design is strikingly similar to a top priced brand but priced 50% more affordable. There is no sacrifice of function or quality I see. Gonna use this vest pack a long time. I fish some remote locations and needed something that could store my things for a long (11-12 hour) day of fishing. This vest not only had more than ample room for my fishing gear, it has the added backpack which allowed me to pack a full lunch, 4 bottles of water, a thermos of coffee, my eyeglass case and room to store my jacket after it warmed up. 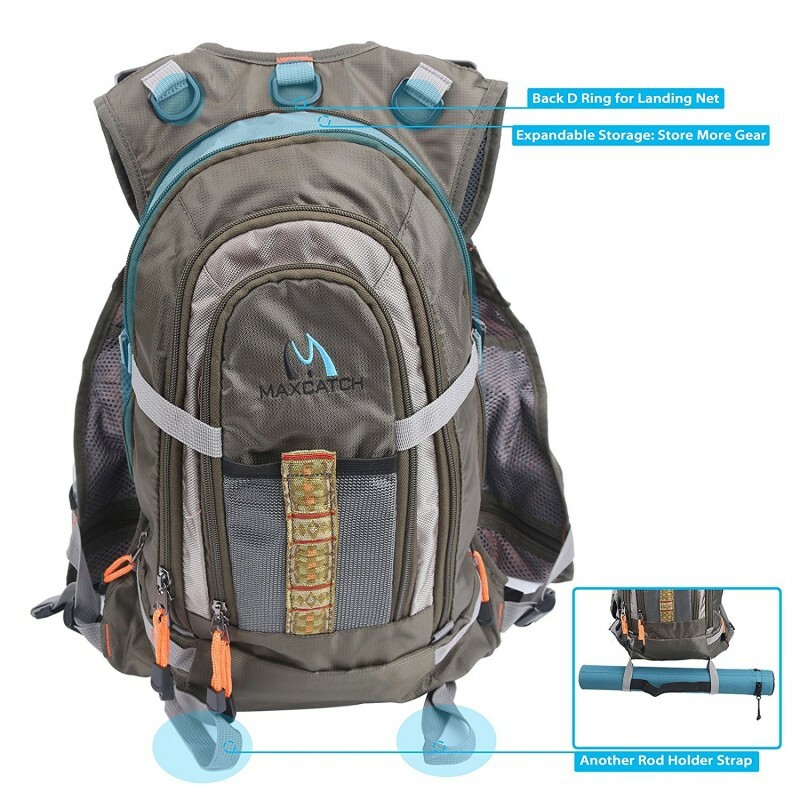 There is a special pocket in the main backpack compartment that will accommodate a 100 oz hydration pack with routing from compartment through shoulder strap for the hose. After 11 hours of fishing some rough back country mountain streams, I never felt the weight of my gear! The front vest storage is well thought out in placement, size and functionality. 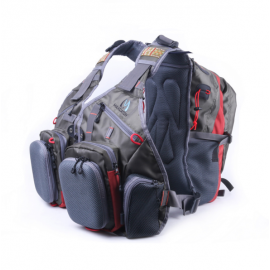 The two front shell type fly storage compartments have slit foam fly inserts that are secured with Velcro for easy removing to load and unload while prepping for your trip. 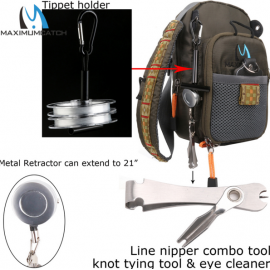 The two front shell pockets drop down and rest in a horizontal table position, giving a nice stable surface for on the stream changing of flies and other tasks. 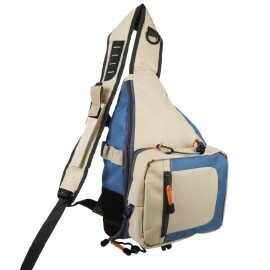 This fishing vest and backpack combo is very comfortable and extremely versatile in adjustments for fit. I comfortably transitioned from wearing a heavy jacket in the morning with low temps to shirt sleeves in the afternoon with minor adjustments of the straps and stowed my jacket in the backpack. Great quality in this vest, with great features and really nice looking too! This is the best purchase I have made in a while in a time where we are often disappointed for things being less than advertised. 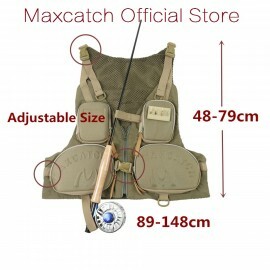 After spending a week comparing every fishing vest, with and without the backpack feature I could find online, I chose this one as the best fit for what I needed as this was most important to me. Secondly, was the price....unbelievable quality for the price! I would put this up against the bigger names that come with an even bigger price tag just because of the name. I highly recommend this vest! Very impressive pack. 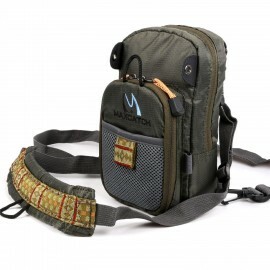 In function the vest is comparable to the Fishpond Wasatch or Sagebrush-- both of which cost 2-3 times as much. 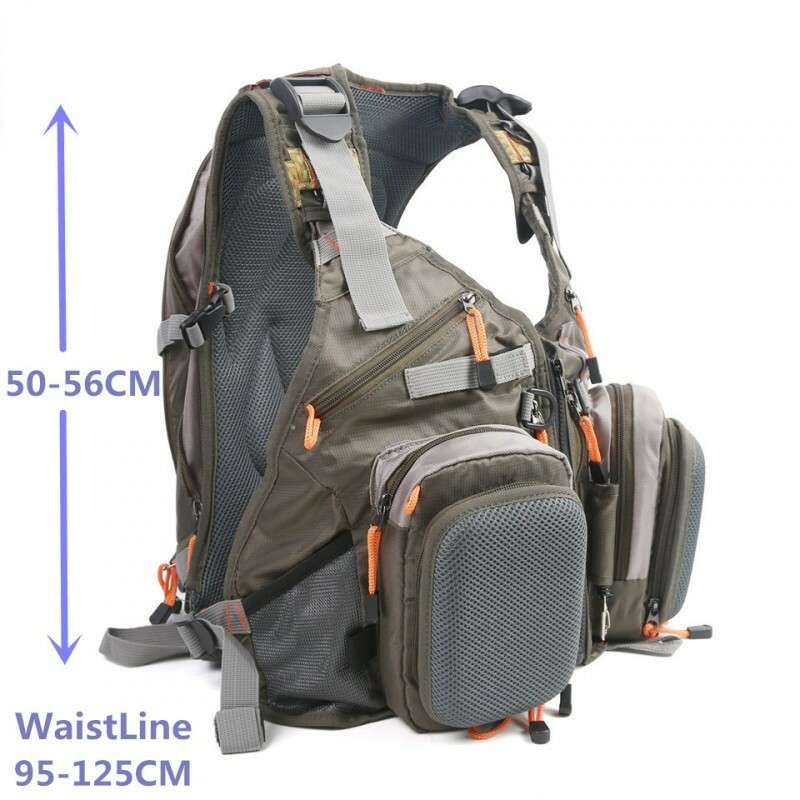 I thought all the cool kids were using sling packs now so I recently picked up a Fishpond Summit sling pack and found it fairly nice, just not as convenient or comfortable as this vest. I've used this vest on at least a dozen fishing trips now (some up to eight hours on the river) and so far it's holding up very well. And I probably over pack it. But it's never felt too heavy or cumbersome. I might try a smaller chest pack for days I want to go minimalist, or I might just use a lanyard for those days, and use this vest for all other trips. Overall I'm very happy with this. 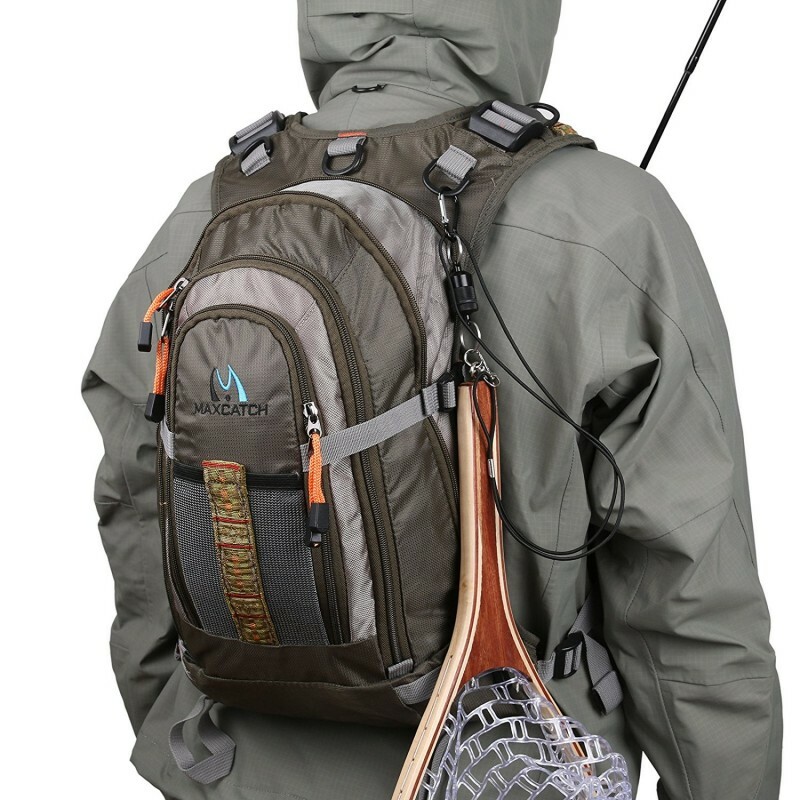 If you're a brand snob (as some fly fishermen are) and you always look to Simms or Patagonia or Fishpond, I say give this off-brand company a try. You might be pleasantly surprised.